An entrepreneur’s prior knowledge and experience play a critical role in his ability to identify and exploit entrepreneurial opportunities. 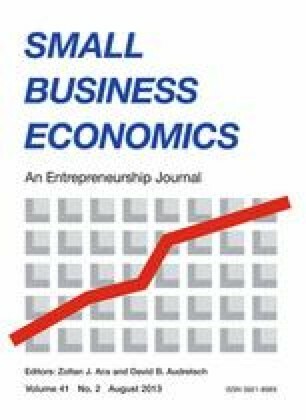 Although entrepreneurship research has acknowledged the role that prior information and prior knowledge play in opportunity recognition, few studies have explored their role in entrepreneurial discovery. We test the role of a particular prior knowledge in entrepreneurial discovery within a laboratory setting. Participants were randomly assigned to one of two treatment groups. Those in the propitious treatment were given prior knowledge that oriented them toward the arbitrage opportunity within the experiment, and those in the unpropitious treatment were given prior knowledge that oriented them away. As hypothesized, those in the propitious treatment were significantly more likely to discover the arbitrage opportunity. Welcome to today’s economics experiment! You will be taking part in a decision making study. We are interested in your decisions that you make on your own. That means, now that the experiment has started, no talking and no texting, please. Please turn off all electronic devices and place them in your bag, under the desk. If you have any questions at any time during the experiment, or have any trouble with the computer, please raise your hand, and we will come to you to answer your question. Please click the “Story” button to continue. We’ll begin with a short story. In this experiment, you will take the role of Mr. Green. Mr. Green grew up in a small village called Green Village, where he runs a small factory. Mr. Green has always been very similar to his fellow villagers. They usually like the same drinks, food, clothing and art that Mr. Green likes. On his 25th birthday, Mr. Green travels to Brown Town, a small country town 150 miles away. He spends the day shopping in the local market and sampling the local food and drink. Most of what he finds he is familiar with from his home village, but that night he buys an exotic fruit that he’s never had before, and he absolutely loves it. Mr. Green thinks to himself that the other villagers would probably like this fruit. You earn money in this experiment by increasing Mr. Green’s wealth and happiness. At the end of the experiment, we will add up Mr. Green’s gold coins and happy points and pay you the total divided by 15. We will now guide you step by step through a few of the possible actions you can perform. In this experiment, all actions are performed by dragging and dropping pictures, just like you might drag a file and drop it into a folder on your computer. Notice that when Mr. Green eats the fruit, his happiness increases. Each week, Mr. Green’s happiness increases by 5 with his first box of fruit, by 3 with his second box, and by 1 with his third box. Each drag and drop counts as one action. You can perform 1 action per day, and there are 6 days per week. After 15 weeks, the experiment will end, and we will pay you your earning in this experiment plus your on-time bonus of $7. The experiment will also end if you run out of money. How you earn money: Remember, at the end of the experiment, we will add together Mr. Green’s happy points and gold coins, and pay you in US dollars ($) the total divided by 15. You may review the story and instructions now by clicking on “Story” below. When you are ready to begin, click “Go to Quiz”. However, once the experiment begins, you will not be able to return to the instructions. Here is a little test. Pass, and the experiment will begin. Otherwise, you will return to the story to try again. Be alert! How far is Brown Town from Green Village? The first box of fruit sold in the village earned 6 coins, the second 4, and the third 2. Since payment was based on the linear sum of coins and happiness, the ex-post optimal strategy is to consume one and sell two boxes of fruit per week. We found that most subjects who discovered arbitrage either followed this strategy or simply alternated between selling and consuming fruit, occasionally exploring other possible drag-drop combinations. Please raise your hand now, and the experimenter will come to check your earnings.